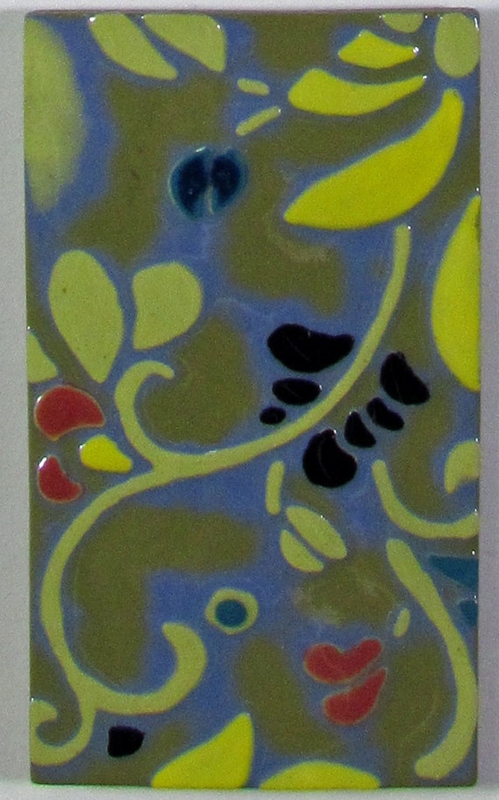 Exotic, original, decorative art tiles in porcelain, measures 20" high (51 cm) x 8" wide (20.3 cm), signed and dated. Housed in a high quality, matte black metal frame and under glass, this lovely collection of wall tiles will inspire and intrigue. My collection of tiles evoke a little of the "local color" of a place; in this case, a boat ride on the Rio Tigre north of Buenos Aires, surrounded by lush flora. 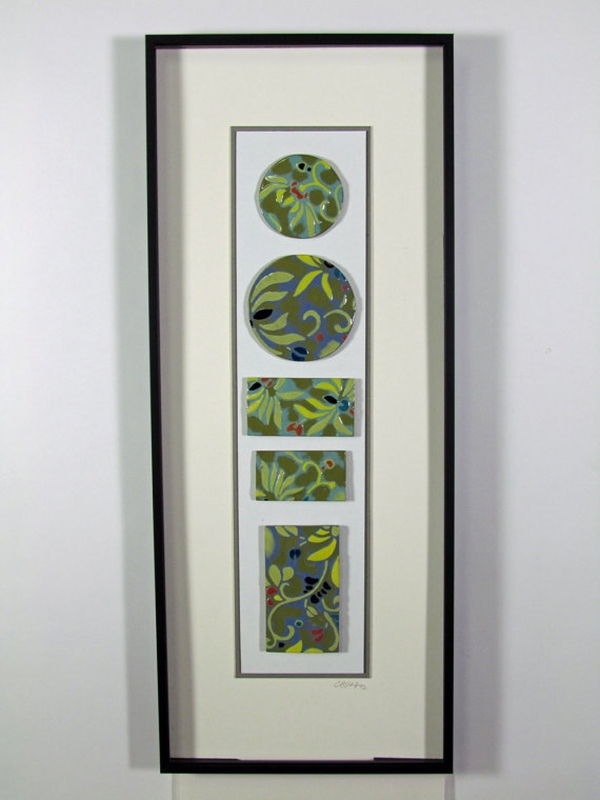 Five tiles are mounted to a double-matted, archival, ivory base mat. Each tile has a depth of only a few millimeters but stands out from the base mat at about 1/4" from its mounting, to add dimension. Each tile is hand-created as a single piece but with regard to the flow and relationship to the piece as a whole. I apply several layers of porcelain on top of a base color and etch away the layers using water and a resist. A bit of accent underglazes are hand-painted onto the high-fired piece and a final coat of gloss glaze is applied to bring out the color. Each piece is a one-of-a-kind, happily made in my studio at the Beaver Mill.